New Hampshire’s biggest city often gets overlooked by New Englanders en route to destinations north and south. 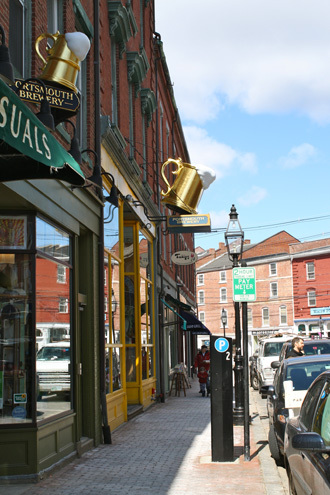 Located between Portland, Maine and Boston, Massachusetts—a few miles from the vacationlands of Kittery and Ogunquit, Portsmouth, New Hampshire doesn’t get the attention it deserves. The seaside town boasts blocks of unassuming bistros, coffee shops, boutiques, and bars that give its big city neighbors a run for their money. If you are new to town, take a look at our guide on where to see and be seen in the city. Discerning urbanites making a night of it should look no further than the Ale House Inn. 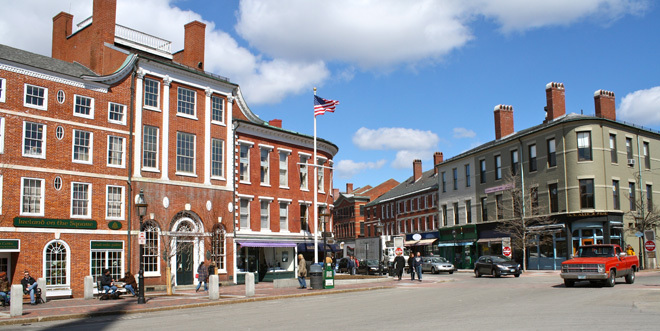 Located in Market Square, the lofty inn is housed in the historic Portsmouth Brewing Co. building. The devil is in the details at this unique inn. Amenities include an in-room iPad (do I need to go on), iPod dock, Keurig coffee maker, Wi-Fi, Aveda products, and an eco-friendly Vizio 32-inch flat screen TV with 180+ channels. Head off the beaten path to The Green Monkey for Asian fusion in a funky atmosphere. Jumpin’ Jay’s Fish Cafe is a local institution for the seaside town’s aficionados of frutti del mare and martinis. If you’re in town in the morning, be sure to gorge yourself on pumpkin pancakes and homemade cayenne-cheddar bread off the brunch menu at The Friendly Toast. A Portsmouth mainstay, the campy breakfast joint has been keeping hipsters happy since 1994. When warm weather arrives, Portsmouthians get to the decks. Deck season is where it’s at for outdoor dining and socializing. Join the scene on Bow Street, where The Old Ferry Landing, Harpoon Willy’s and Poco’s Bow Street Cantina invite you to eat and drink in the ocean air on their patios. Head over to the Portsmouth Brewery afterwards for a handcrafted beer to wash it all down. For a behind the scenes look, feel free to join the brewery’s free weekday tours. Details are on its blog. 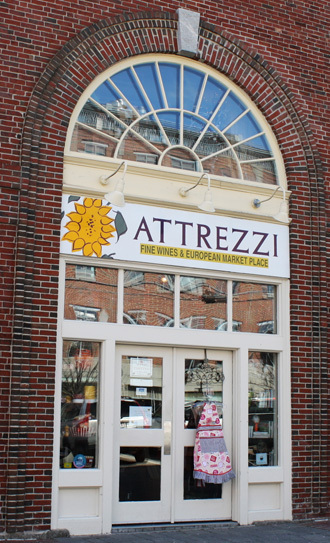 Wannabe chefs and gourmands should stop by Attrezzi, a European marketplace selling everything from fine wines to fresh pesto. Expert sommeliers hold wine tastings on-site every Friday evening and Saturday and Sunday afternoons. If it’s the roasted bean you crave, Breaking New Grounds Coffee at 14 Market Square will seduce your palate. Inside, the coffee shop hums with the sounds of gal pals catching up after a nearby yoga class, young families on play dates, tourists relaxing, and of course those who come strictly for the delicious java. For a non-digestible souvenir, try Gus & Ruby Letterpress. Whoever said written communication is dead has obviously never set foot in the shop. Named for the two owners’ precious pups, the shop sells handcrafted greeting cards, invitations, boxed notes and photo albums made by local artisan vendors. The stationery and invitation boutique will surely inspire you to pen a few love letters. Connect with the past at the historic Strawbery Banke Museum, an entire neighborhood preserved to depict the city’s four centuries of history. Tour restored houses, gardens, landscapes, and attend special exhibitions to learn the stories of the many generations who kept Portsmouth thriving from the late seventeenth to the mid-twentieth century. Music lovers should swing by The Music Hall, a landmark Victorian theatre and local haven of the performing arts and independent film. Portsmouth is located off Interstate 95 at Exit 5 on New Hampshire’s scenic seacoast.